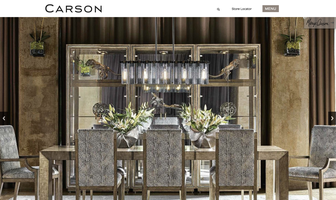 The latest website, designed, developed and hosted by VanNoppen Marketing, is operationally supreme, visually superior, uniquely manageable and integrated with digital tools. 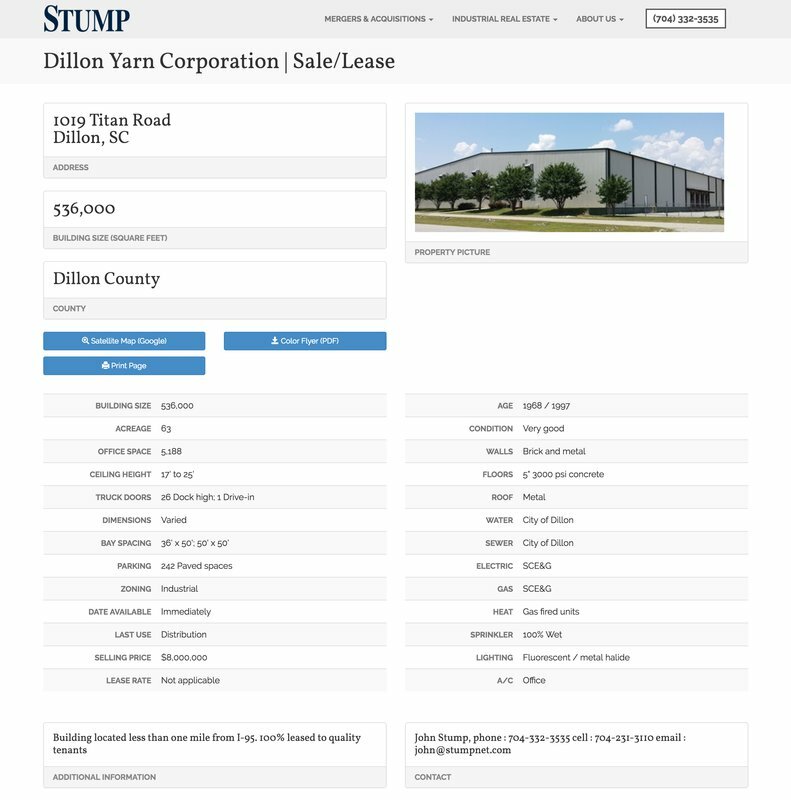 Anyone who knows anything about the furniture and textile industries is familiar with the Stump Companies. 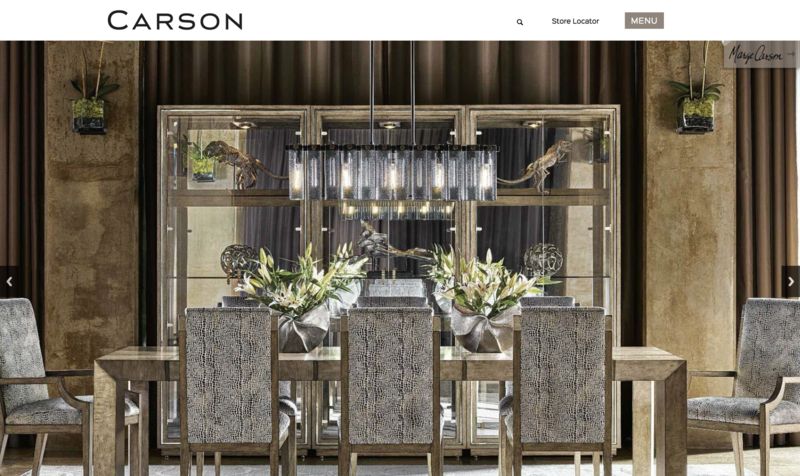 Based in Charlotte, and generations old, it is the leader in merger, acquisitions and strategic transactional engagement with furniture and textile manufactures across the South. 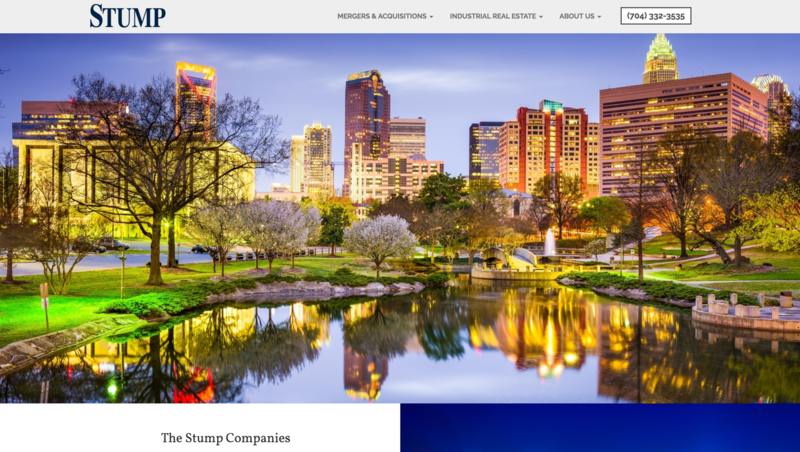 VanNoppen Marketing is proud to manage Stump's marketing (traditional, web and digital). 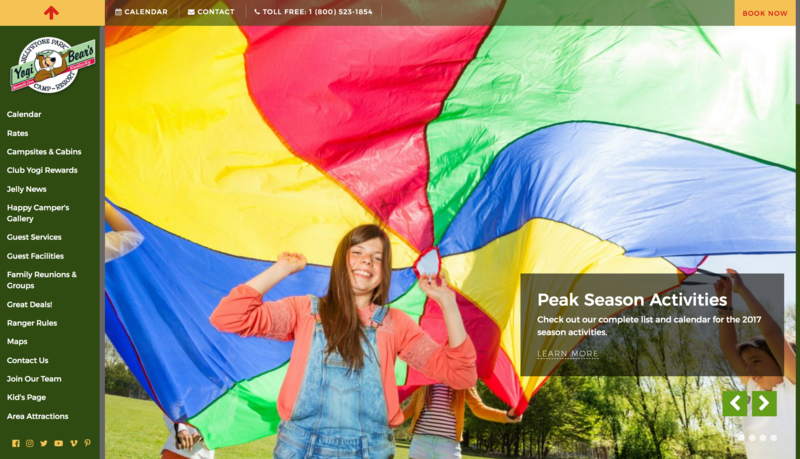 Stump's home page had to have a clear, crisp compelling image that conveyed the professional approach to business practices maintained by company principals. For the fun of it, the cityscape image automatically switches to a nighttime photo at dusk. 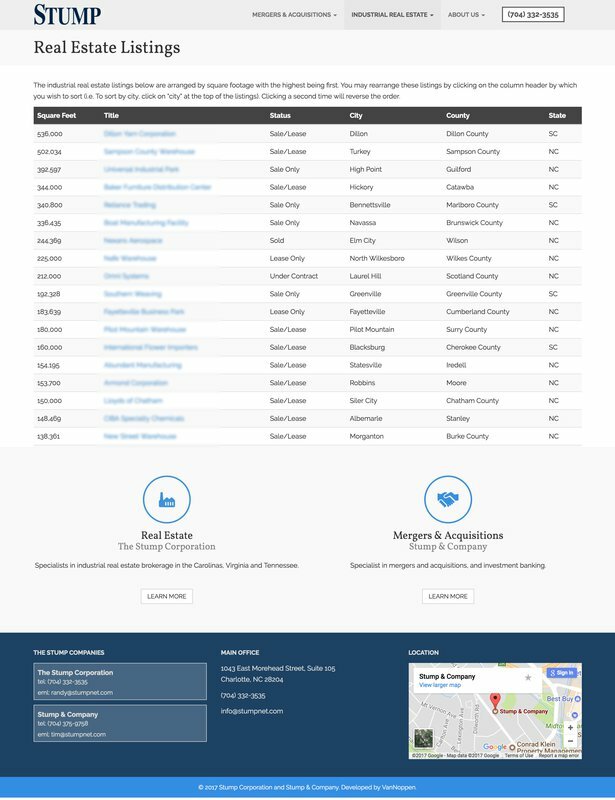 A comprehensive, sortable listing of real estate properties, fed in real time and maintained by Stump staff, provides visitors with the starting point for exploration. Drilling down through the listing brings visitors to an informative, organized property fact document. This document pulls photos and data in real time from the property database. 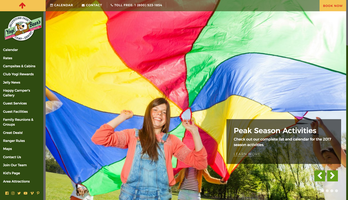 Page visitors are able to print a color flyer, print the page itself and visit Google aerial maps. Stump managers excel at communicating with their audience. 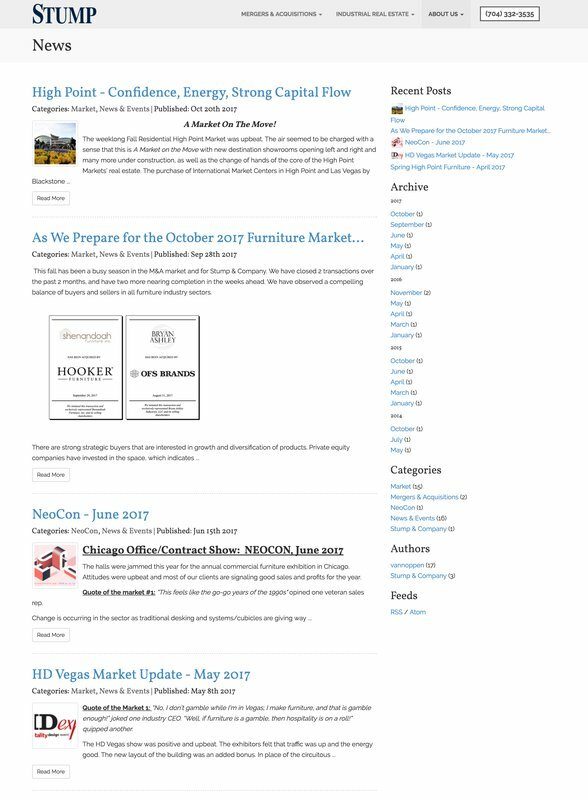 VanNoppen Marketing uses eBlasts and other internet tools to channel visitors to Stump's informative news page.